Winters are all about staying cozy and warm. You have kept your home cool whole summer, and now it is time to turn off the air conditioners and get ready for the winter season. Embrace the winters and upgrade your home for the winter season. If you are tired of trying the same old setting and furniture for your living during winters, you don’t need to worry because we have got you covered today. With our list of few ideas you can make your living room as amazing and comfortable as you ever wanted it to be. You must have heard about the Danish concept hygge; that’s when you make your living space and yourself comfortable and cozy for the winters, in this article we are suggesting you some new trends that you can opt to make hygge more warm and welcoming. Let’s discover what is in our list for your home! Winters don’t have to be in dark colors. Break that rule this winter by adding beige in your living room. Brighten up your winter living room with beige and white combination. Addition of the wool throw and sweater pillow makes your living room a little cozier. In order to make your living room look vintage inspired, grab a set of rattan furniture and place it near the fireplace. A big plus, it gives more space to the room and suits best if you have a small living room. If you are not sure where to buy a quality rattan chairs, visit Hudson Furniture today. Slipcovered sofa changes the game. Transform your living room in winters with slipcovered sofa to give it warm feel. It adds more texture and softness to the room. Isn’t it amazing to curl up in slipcovered and sip a cup of coffee in cozy evenings of winter? If you are lucky enough to already have dark hardwood floor, an addition of a wood-burning stove and brown leather chair in the corner of your living room gives it complete vintage look. It’s amazing to fill your room with some antiques when the current setting seems somewhat boring and neutral. we already have beige in our list. How about white living room with some pastels? It creates coziness and brightens up the room in snowy and dull winters. White can be paired with shades of pink, blue or green to give the room lively look. A pair of black or dark brown leather chairs is a great idea with a country fireplace. Along with a couple of antique wall hangings and rug would make the setting complete and warm. For a variety of color and shapes of leather sofas, you don’t have to waste time finding in other places, instead visit Hudson Furniture today and make your home welcoming for the winters. Create a reading corner in your room. 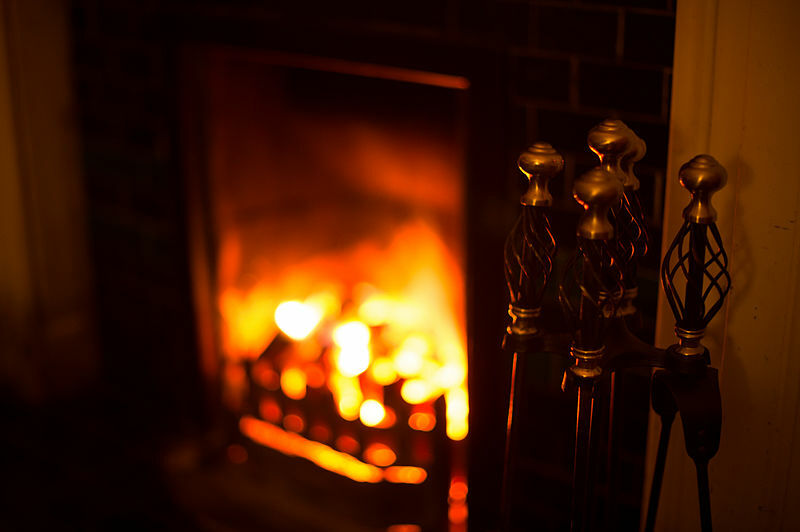 It’s great to curl up in with hot drink with a freezing weather outside. Add floor pillows to add extra comfort. Glow candles. There is nothing like candles that warms up your home. Add layers of rugs to make your living room warmer and cozier. Share your thoughts about what you would like the most in your living room to make it warmer?